SysTools MailPro+ software scores 8.0 out of 10 as email exporter software by FinancesOnline. The tool allows users to export emails from multiple mail clients. The multi-functional tool supports more than 15 email client & export emails into various file formats, it is found to be the best tool on Cnet. On the Softwaresuggest, this software is the most searched & best solution for users who need to migrate from different file formats. 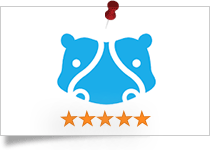 SysTools MailPro+ software got 4 stars rating from Filehippo software for exhibiting the efficient & complete migration from one file format to another. G2Crowd has given SysTools MailPro+ 5 stars rating for being the effective utility for exporting mails from various file formats. Collection is a term that allows to add multiple file types for scanning, searching and exporting. The feature is very helpful if you want to save all activities (scan & search) for further usage. Auto search is another helpful feature that saves your time and makes file selection process automated. It searches for desired files from selected drive or complete hard disk to view emails and other items. Relevancy: In case, the exact location of a file type is not known or file is stored in a different location then browsing of each file will be hard and time consuming work. Here, auto search function of email exporter software becomes very helpful that asks file type and drive information only and shows files related to your search within few minutes. Browse & Process multiple emails of different file types at once, of different email clients. Browse & Process single or multiple emails of same file type at once. Relevancy: To analyze an email's header or to gets detailed information regarding email source the preview feature is useful. The Message Header View tab will come handy in this case for providing details like: message ID, IP, message priority, etc. Recursive listing offer collective view of the emails that are in the main folder & its subfolder(s), under the top folder (Single Folder) only. Relevancy: The feature prevents you from going to the folder & its nested folder one by one to preview their internal items. Just right click on the main folder and select Recursive Listing to view emails & other items listed under the main folder for a collective view in mailbox reader for any mail file format. Relevancy: Required filters can be applied through the email exporter software for searching the specific emails from the bulk of data items. Suppose the scanned file consists of bulk messages, but you only need to view the ones received during a specific date. Received Date parameter can be applied here to view only selective set of emails. TIP: With Default Search option you can perform a keyword based search on each part of a mail & view any email file. Relevancy: By having multiple email export types user can export from any email client's data to other email client through the Mailbox Exporter utility. Maintain Folder Hierarchy: If the original folder order of arrangement has to be maintained, this option will help. Note that, the feature is of great importance in case of analysis. Remove Duplicate Entry (emails): When this checkbox is selected, duplicate entries (only emails) will be excluded from being exported to the output. Naming Conventions: A desired type of naming pattern can be selected for naming the output â€“ single mail files or document file, with the provided options. Folder Selection: You can specify email converter to only convert particular folders by selecting them using checkboxes provided against each for a selective conversion. Relevancy: As the email exporter tool allow to export emails from a selective folder without changing the way folders are maintained. As the duplicate entries are barring to do so here multiple export emails settings with a naming pattern could be applied while saving emails individually. Relevancy: To avoid the unnecessary time consumption, save the export report generated by the Mail Exporter software after export emails process. In the report, you can check the number of exported and failed emails, etc. Free Demo version MailPro+ tool will export 50 items and allow adding 2 files of each type only. Trial version of tool scans the file size up to 2GB and allow adding 10 files in a collection. Do I need to install/configure Outlook on my machine to run the tool? No, the MailPro+ Email Exporter software does not need Outlook installation or configuration to run successfully. What types of emails can be viewed, searched & exported using SysTools MailPro+? 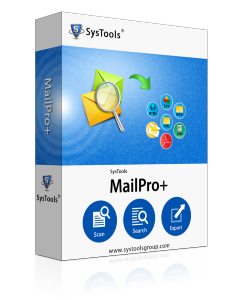 SysTools MailPro+ Email Exporter software supports 14 email data storing file formats belonging to a variety of email clients (desktop based only) like; MS Outlook, Eudora, Lotus Notes, Bat, Incredimail, Outlook Express, Thunderbird, etc. Why can I not see the contacts and calendar of my scanned PST file? The software is an email data scanning, viewing, and exporting tool. Thus, you can only view the email data of any scanned file and not other items like; contacts, calendar, etc. It works as an mail exporter & email search software. Is it possible to view the MD5 value of my emails? Yes, you can view the MD5 value of the loaded emails. The email search software lists entire emails of the scanned file with all attributes like; subject, from, to, sent, received, size in bytes, and MD5 value. Will the MailPro+ (email export software), search & export software be helpful for the e-discovery of emails? Yes, the MailPro+ (email search & Export tool) can be used for e-discovery purposes. Scanned emails can be viewed using multiple types of views like; property, normal mail, header, MIME, Hex, Email Hop, etc., to thoroughly study an email body and header. How many collections of emails can be made on the MailPro+? There are no limitations imposed by the software on the number of collections that you can make using MailPro+ email export software. You can make unlimited collections, add unlimited number of files of any desired type in any multiples without being restricted. What can I do to view the permanently deleted emails of a file? The Email Search Software performs a thorough scanning of the selected file(s). During this scanning procedure, it recovers corrupt as well as permanently deleted emails from the file. Download & Installs MailPro+ Email Extractor Software. Your File Get converted to desired file format. I was very glad to come across this tool, as we regularly faced the issue of opening different file types and then converting them to legal format. This mail exporter tool not only made the conversion easier, but also gave us the opportunity of looking into the emails thoroughly with the multiple views provided. Thanks! All in one solution for multiple email conversion and email migration need. MailPro+ Email Extractor software performed brilliantly for me without any loss of data. Thanks for such nice software! I was looking for the complete email conversion software which supports multiple email clients. My findings ends up with MailPro+ Email Extractor software. It supports the 15+ popular email client to be converted to 7 different file formats. Advanced Search option and collection creation provides me extra ease. I am very grateful to developers for innovating such a nice software.